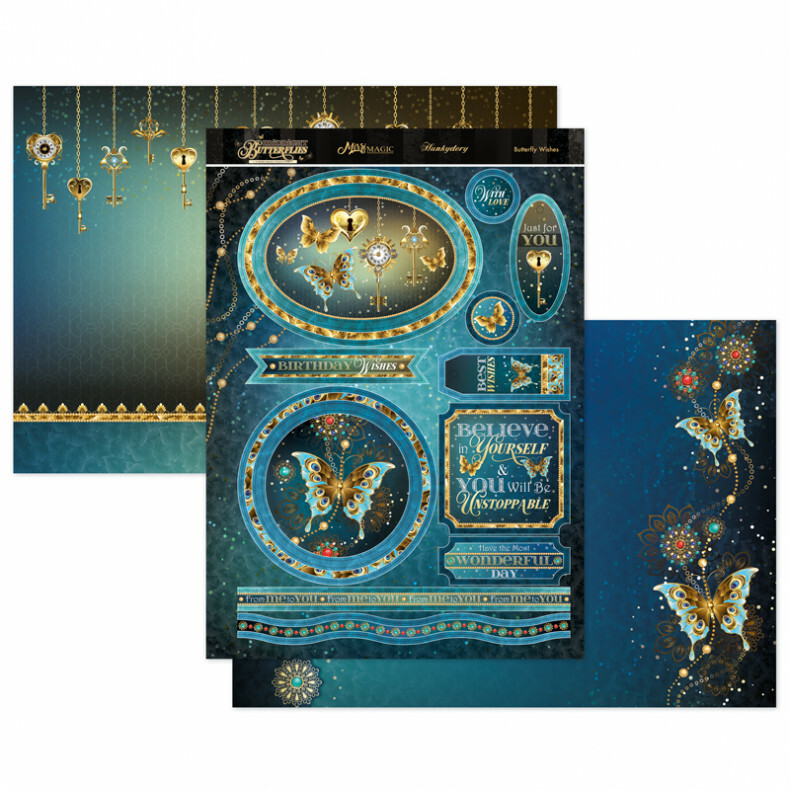 Our magnificent Midnight Butterflies Topper Collection contains stunning artwork, printed onto our gorgeous Mirri cardstock and using amazing print technology that provides a beautiful reflective effect. Butterfly Wishes features a beautiful array of blues and gold against black, with stunning butterfly designs and vintage keys and clocks throughout. Sentiments include; 'Birthday wishes', 'Just for you', 'Believe in yourself & you will be unstoppable' and 'Have the most wonderful day'.